In 100 years time, when one thinks back on the golden era of modern music, who will spring to mind? The Beatles? Oasis? Tupac? All are questionable. But only one is definite. Danielle Bregoli. 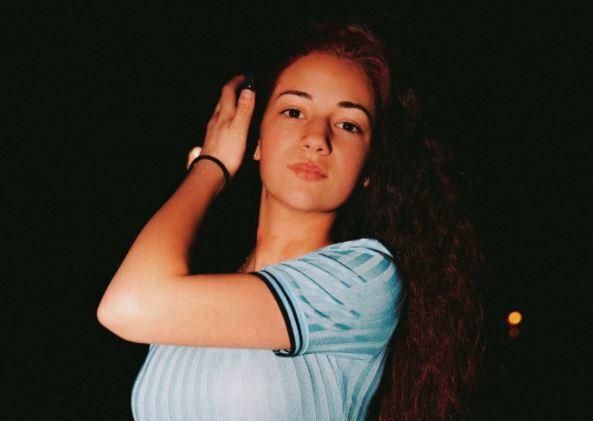 The Cash Me Ousside girl who is now making a ton of money from her elusive rap career. Just last week she made headlines across the globe after being caught on camera in a bust-up with WoahVicky, another Instagram famous rapper or something, who should probably be revising for her exams. However Danielle, aka Bhad Bhabie, hasn’t stopped at WoahVicky, now she’s calling out the big guns. Danielle Bregoli may have picked her BIGGEST FIGHT yet, shading Nicki Minaj ? ? Speaking to TMZ, Danielle is asked how she feels about being nominated for Billboard’s Best Female Rap Artist award alongside Cardi B and Nicki Minaj. Bregoli has recently been in the news after it emerged she had became a millionaire thanks to a less-than-extraordinary foray into the music industry. Hollywood Life reported last July that she was earning $50,000 per show after signing a deal with Live Nation. She also makes wonga through ‘endorsements’ and YouTube, a site by now we all know to be an absolute goldmine. In a brief interview with TMZ, Bregoli explained ‘I only spend my money on nails and eyelashes.’ Fair enough to be honest. Quite a smart move. Let the money build and treat yourself later on in the game. It’s tough out there. I go shhh on a bich , be quiet ? Not everyone thinks she’s sensible, however. Take her dad Ira Peskowitz, for example. He has spoken about his battle to gain custody of his daughter in order to save her from a ‘downward spiral’. Ira, a police officer in Florida, has been paying child support for the last 13 years whilst constantly battling with Danielle’s mother Barbara for more involvement in his daughter’s life. Since Danielle appeared on the TV show, her mother has taken her from Florida to Los Angeles, and signed her up to the same agent as singer Pitbull, with apparent hopes for a reality TV career. This isn’t something new for Ira, a lot of people are talking about how he’s some Johnny-come-lately dad. Ira’s been trying to help Danielle and get back into her life for years, long before Dr. Phil. Danielle’s mother has really blocked this at every turn, she’s really been the obstacle for Danielle getting the help she wants. If he has to go to court, he’ll do it, but this isn’t new for him. He’s been paying child support for 13 years, it’s just new to everyone else because of Dr. Phil.